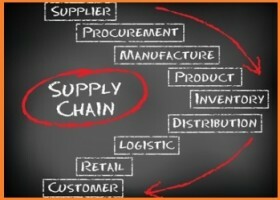 Supply Chain Management solutions can solve main issues as productivity, time, risk, budget, etc. Supply chain management process is complex, involving goods expedition and delivery from the warehouse to customers. It is quite difficult to manage by using only traditional methods and tools. 360 Solutions can offer to the organizations in the GCC and UAE a new generation of stable, flexible, supporting a wide range of interfaces e-procurement solutions for handling the supply chain management, increasing operational and production efficiency. Automation monitors and transmits real-time information about the goods in stock and other important parameters of the process, eliminates the need for a significant number of employees with a considerable cost, increases the company control over the supply. The organizations are under pressure to respond proactively to the changing market- the focus now is on growth in value rather than volume, therefore the e-procurement and automation of such strategic processes as supply chain management processes is of great importance to overcome the negative effects of the global economy.